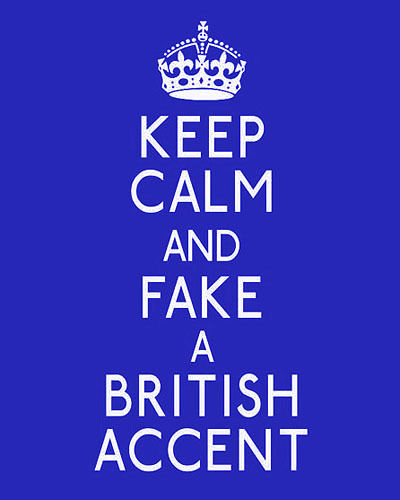 International "Talk With A Fake British Accent Day" is on December 17, every year. It's an annual holiday. When I heard this, tried to find more information about it just for being a curious creature - and for an annual holiday there was not that much of information about it (for example confusion about the exact date among certain people). Then for my surprise I found a video from YouTube when this guy who created this holiday, cleared out some of these things, for example the exact date. It starts at 12:01 a.m. (that's midnight) and goes until 11:59 p.m. that same day. Some say that the day is on May 7th, but it's wrong. 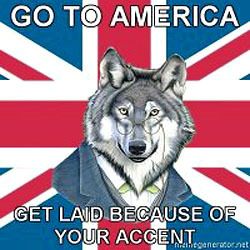 Ok. To me, nothing beats the real British accent – but I find this holiday quite funny. 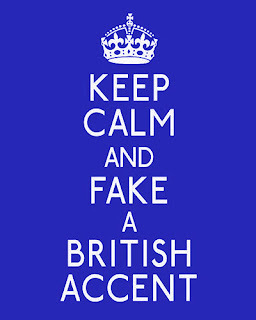 It’s funny idea and on that day (and why not in other time) people can talk with (fake) British accent, without being too specific is the accent too authentic. Whatever suits you well. Oh, and talking about accents why not trying talking about different English accents, like Cockney accent? There’s still time to prepare, if you’ve decided to speak with the best British accent you can. Internet (for example YouTube) is filled with videos and instructions how to speak like a British person – with good tips with how not to sound extremely and utterly fake. And with this I mean the things the British people do, when people talk by the stereotype ways how they think some words are pronounced or stretch them too long – when it sounds just comical and hilarious as well as quite horrendous at the same time. Moving on. I’m not saying I can speak with British accent, no. I can not. I’m just speaking English like a common Finnish people – you will notice I’m from somewhere else. And I’m not trying to fake anything. It’s like.. an American or British trying to speak perfect Finnish and/or saying they are Finnish people. That’s the only language I can speak as perfect as I can. Okay. But this wasn’t my primary subject and kind of just slid into this. It’s not I’m not judging people trying to speak with different accents. I’m just rambling on... I don’t think I’m going to speak fake British on this day for I’m waiting Christmas like nothing else on this world. I just found this interesting and I’m just writing about this and just bringing this out and letting you know (whoever might read this) that this kind of funny and clever holiday is existing! So, are you going to talk like a British on December 17th? What do you think about this holiday?